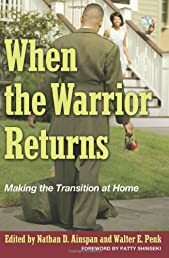 This book addresses both the practical and psychological needs of the families of returning warriors while providing them with a convenient list of helpful resources. Combining the knowledge of fifty experts, it provides answers to questions about the post-deployment transition process, how families experience this process, and how they can help their service member and themselves with the transition. All of the book's authors have either served in the military, counseled thousands of service members and military families through the reintegration process, or cared for their own wounded warriors at home. The authors give straight-forward answers to questions about the transition process, the warrior's experiences, how it impacts their children, and their own concerns. A one-stop source of information filled with useful advice, this book is unequaled. It is published in cooperation with the Association of the United States Army.